"…Mr. 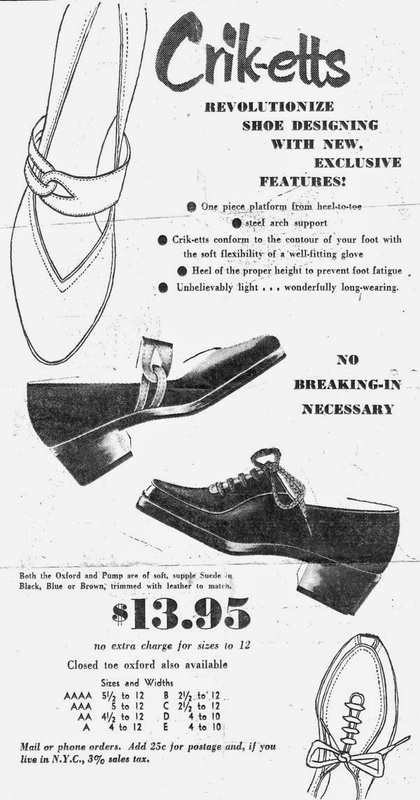 Benjamin is well known in the shoe industry, having spent some 46 years in it. 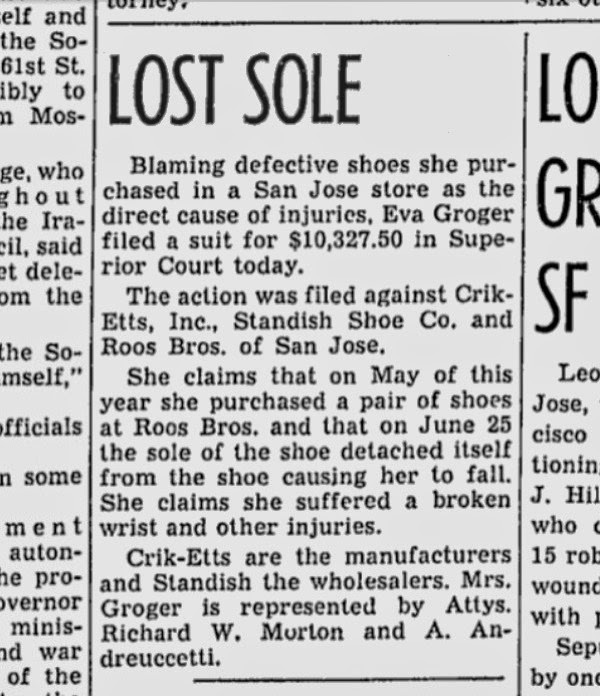 At one time he was a partner in Schwartz & Benjamin, Inc. 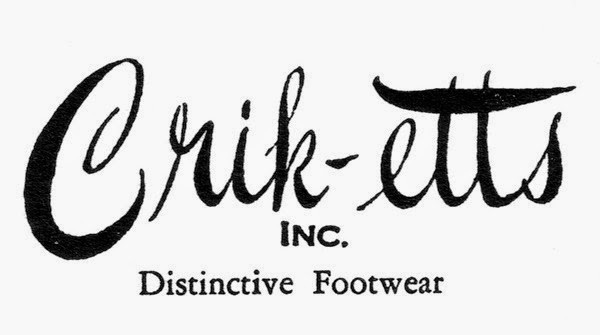 He was also an officer of The Reinhart Shoe Company, Inc., and owner of Cricketts, Inc. (sic). 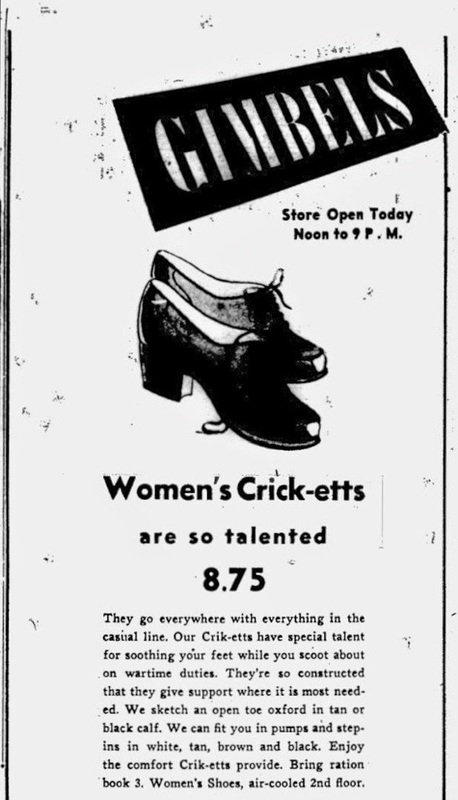 His most recent association was with Sherry Shoemakers of Boston, which post he left to go with I.Miller." 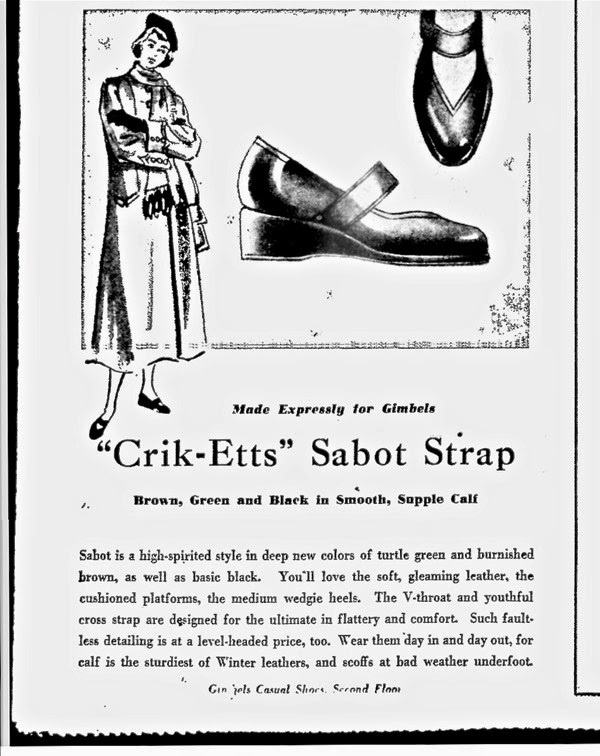 Which leads us to speculate that Crik-etts was at one time sold, being still active a few years after Mr. Benjamin joined I.Miller. 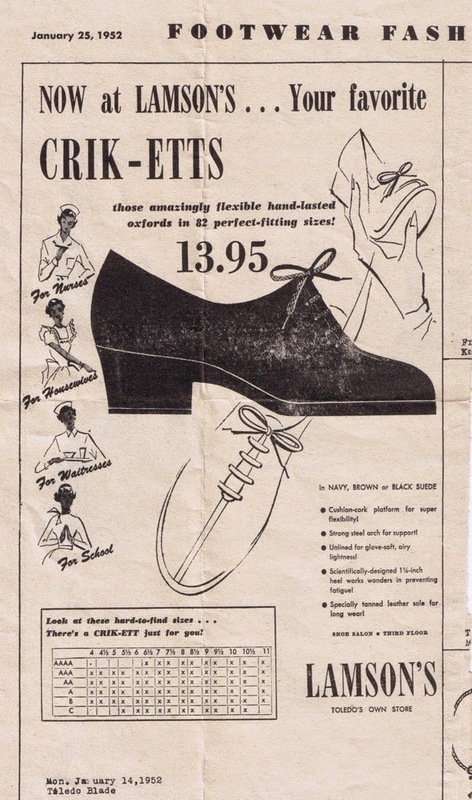 I recently found an ad from 1962 and a Licensing agreement from August 15th, 1958 between my grandfather and The Irving Drew Corporation in Lancaster, Ohio. Unfortunately not much else is known. 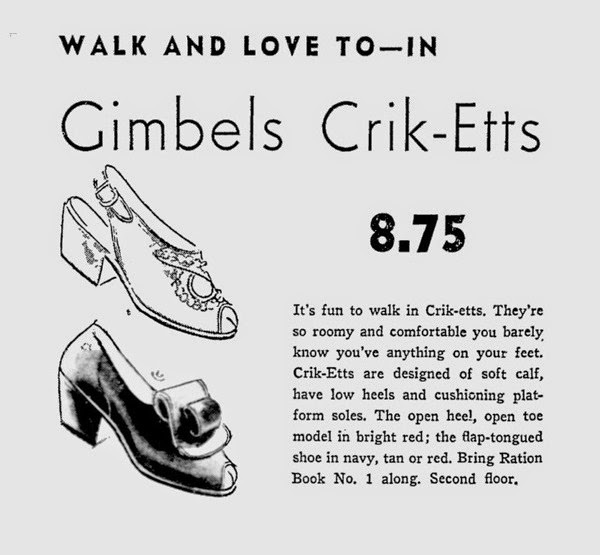 "My grandfather, Ben Benjamin, created a shoe called Crik-etts that boasted the first flexible sole. I found these clippings (the last two) with some other things he gave me. He didn’t tell me much about it. I wish I had known to ask him about this part of his life and also his days at I. Miller that followed."